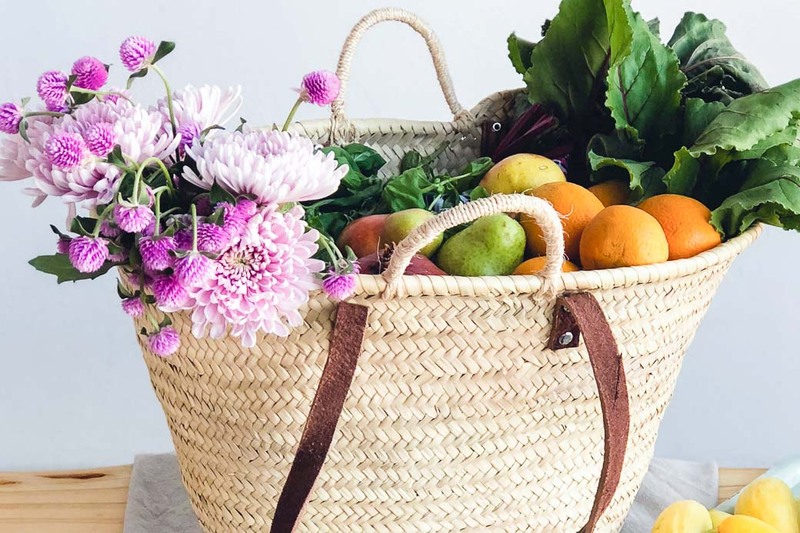 This classic french market basket is the perfect way to tote your farmers market treasures around in practical style. 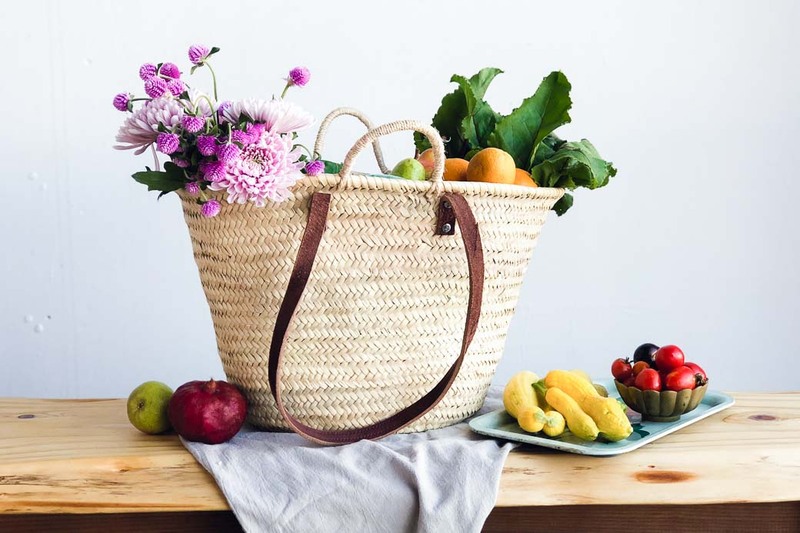 Handmade with woven palm leaves and featuring a flat bottom, the Palma basket stands up on its own so you can free your hands to choose just the right tomato or stop and chat with friends. The two sets of handles- short twisted rope and long natural leather straps- offer options for carrying your goods and can easily switch between carrying by hand and over-the-shoulder. 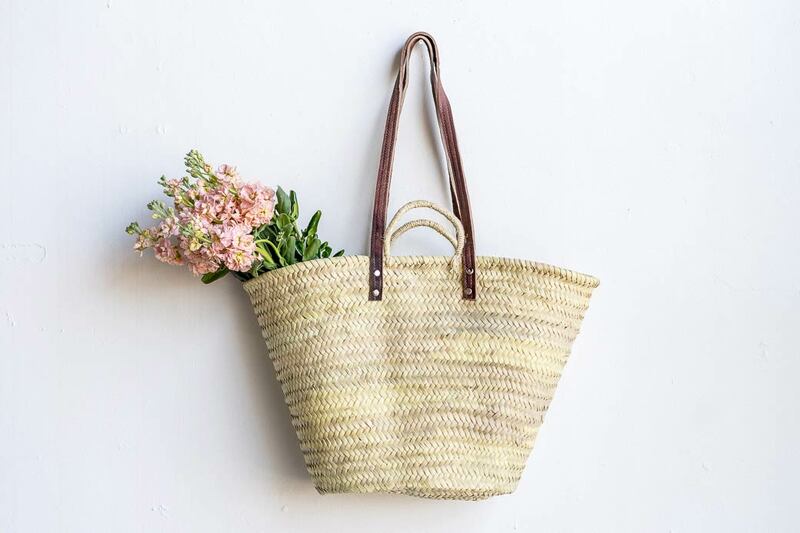 Either way, you’re sure fall in love with this classic and chic hand-woven bag. 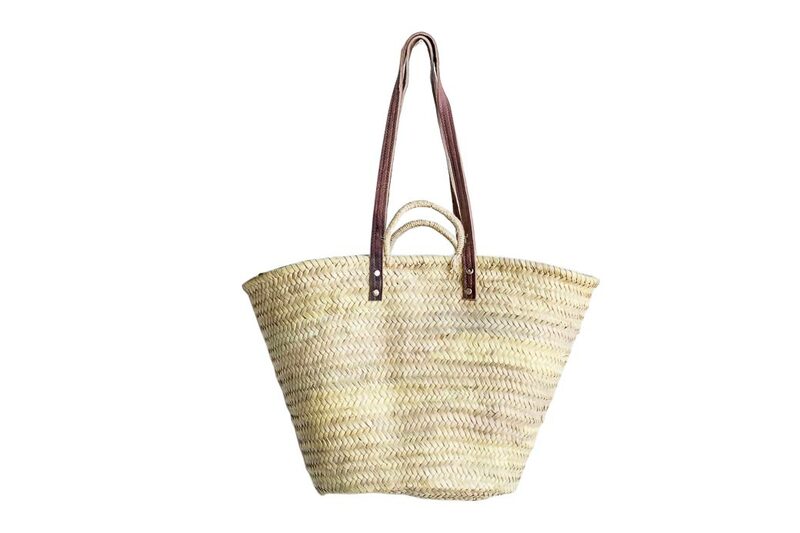 All baskets are handwoven from palm leaves and constructed with natural leather. The handmade nature of these bags gives each one unique character which is what we love about them! They may vary slightly in overall size or in small details (buckle shape, shade of leather, etc.). These are minor variations and do not affect the quality or design of the basket.